Seagulls are the piranhas of the sky: Once they get a taste for blood french fries, there’s no stopping their swarming, swooping arcs. For the owner of 3Sheets restaurant on Hillary’s Boat Harbour marina in Perth, Australia, the avian harassment was too much. So he took the only logical step: He began arming his customers with squirt guns. 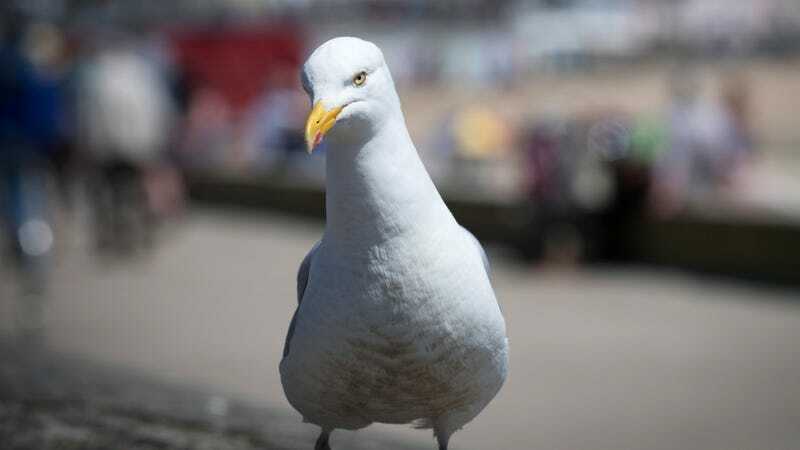 Reuters reports restaurant owner Toby Evans has for more than week been handing small water pistols to diners, who can use the squirt guns to shoo away pesky seagulls. If there’s one thing I don’t need while I’m eating, it’s cheeky seagulls. Thankfully, gulls don’t have much of a presence in Montana, where I live. But squirrels, man—can some restaurant get me an airsoft gun?